The Skoltech Academic Council was conducted on 8 June 2017 with an agenda including such important topics as Skoltech strategy development and principles of forming the Academic Council Committees. The Chairman of the Academic Council, Alexander Kuleshov, began the Meeting by highlighting recent events where Skoltech strategic priorities were discussed. Further, the Academic Council members presented their visions on Skoltech future development and practices for keeping the best students at Skoltech and in Russia, touching upon the Shared Governance principles. The Academic Secretary, Alexander Safonov, presented an overview of the Academic Council and its Committees activities during the past year outlining the main deliverables and marking the valuable contributions of faculty members to Skoltech governance. One more issue discussed was the procedure of forming the Academic Council Committees, as their compositions are to be revised in September. The Academic Council members voted upon the core principles of forming the Committees, which will be taken into account later during revisions of the Committees’ compositions. 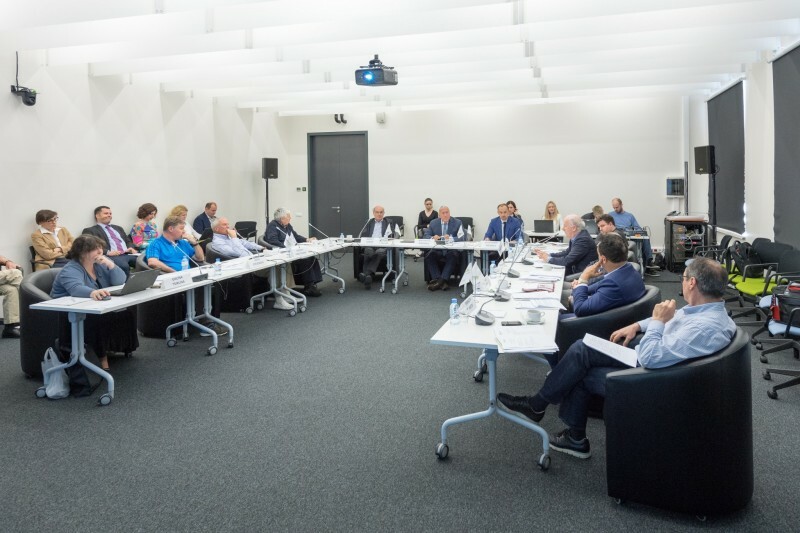 The next Academic Council is scheduled for 14 September 2017.